Entrust Your Fertility Treatment to the Best IVF Doctor in Delhi, India. 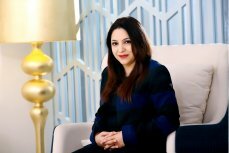 Dr. Manika Khanna, MBBS, MD, D.A.G.E (Germany) is an award-winning Infertility Specialist and Laparoscopic Surgeon who has been facilitated with numerous honours and awards for her exemplary achievements in the field of Assisted Reproduction. Trained at Melbourne IVF, Australia & the University of Kiel, Germany, she founded Gaudium IVF & Gynae Solutions Centre to fulfill her longstanding dream of bringing international standards of fertility care to India. The unprecedented success of the first Gaudium IVF centre in Delhi paved the way for Gaudium to evolve into the best IVF clinic chain in India. Hailed as the youngest consistent achiever in infertility and IVF care, Dr. Manika has over 10,000 successful IVF treatments to her credit with healthy Gaudium babies growing in over 30 countries. Born and raised in Delhi in a family of freedom fighters and doctors, Dr. Manika is a Gold Medallist from Baroda Medical College, Gujarat. After completing her MBBS in 1996, followed by MD (Obstetrics & Gynaecology) in 1999, she completed her Diploma Training in Advanced Gynaecological Endoscopic Surgery (D.A.G.E.) at the Department of Obstetrics and Gynaecology, University Hospital Schleswig-Holstein, Campus Keil, Germany. This was followed by an advanced training course in Assisted Reproduction in Humans (IVF) from Melbourne IVF, Australia. Before founding Gaudium IVF & Gynae Solutions Centre in 2009, Dr. Manika served as Consultant Physician at Deen Dayal Upadhyay Hospital, New Delhi and later as Senior Consultant and Head of Department, Gynaecology and Obstetrics at Sri Balaji Action Medical Institute, New Delhi for several years. An acclaimed infertility expert with over 17 years of clinical experience, Dr. Manika has done pioneering work in the field of IVF and gynaecology-related medical conditions. She is particularly experienced in treating serious infertility conditions such as recurrent IVF failure, recurrent miscarriage, polycystic ovarian syndrome (PCOS), endometriosis and uterine fibroids. Besides heading a team of top fertility experts at Gaudium IVF & Gynae Solutions Centres, she is on the expert panel of infertility units of various renowned hospitals. In 2014, she created history in IVF treatment in India by successfully treating a patient with 15 previously failed IVF cycles. The patient gave birth to a healthy baby boy at Gaudium IVF after an agonising 17 years of immense physical, emotional and financial strain. To accomplish her goal of making fertility care accessible to all, Dr. Manika has been actively engaged in taking advanced infertility treatments to women in remote areas of India. Founded the Gaudium Foundation to provide free and subsidised treatment to economically weak patients. In 2015, initiated Naari Jeevan Strot, a unique women & child health campaign by Gaudium Foundation that has connected the largest network of cities and districts in 5 mjaor North Indian states of Delhi-NCR, Haryana, Chandigarh, Punjab and Himachal Pradesh. The initiative, which provides health education and free and subsidised medical relief to the less privileged through health camps and nukkad natak (street plays), has touched the lives of nearly 10 million women and was recognised as the best philanthropy project of the year 2014-2015 by Healthcare Leaders’ Forum & Awards 2015. Established the Poor Patient Fund (PPF) at Gaudium IVF — a unique and innovative way for well- to-do families to donate for the treatment of underprivileged fertility patients. The initiative, which has received tremendous support from our dear patrons, provides for the treatment of 3 to 4 patients each month and has so far supported over 120 disadvantaged couples. An ethical, compassionate and committed medical professional, Dr. Manika is revered in the medical community for her exemplary contributions to infertility treatment in India.